Back in Action; It is great to see so many Ladies and Gents out on the course during last week in particular the men competing in the Spring League. 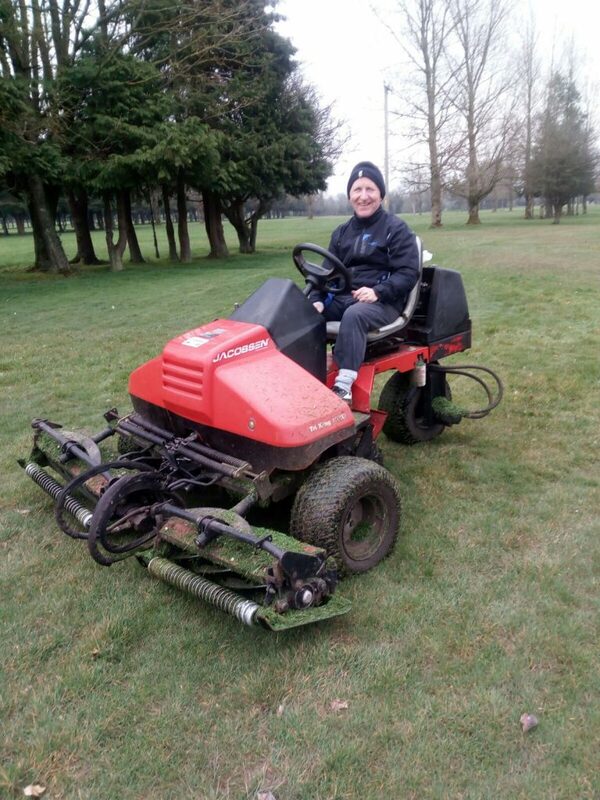 The Course is now shaping up well by the work of volunteers, the green keeper John Alexander and the director of operations, the course manager Liam Leahy. After a lot of heavy lifting over the last 2 years the course this year will be in splendid condition that will attract lots of visitor players from other clubs and nationwide. It was also great to hear all the machinery in operation after the constant barrage of rain. 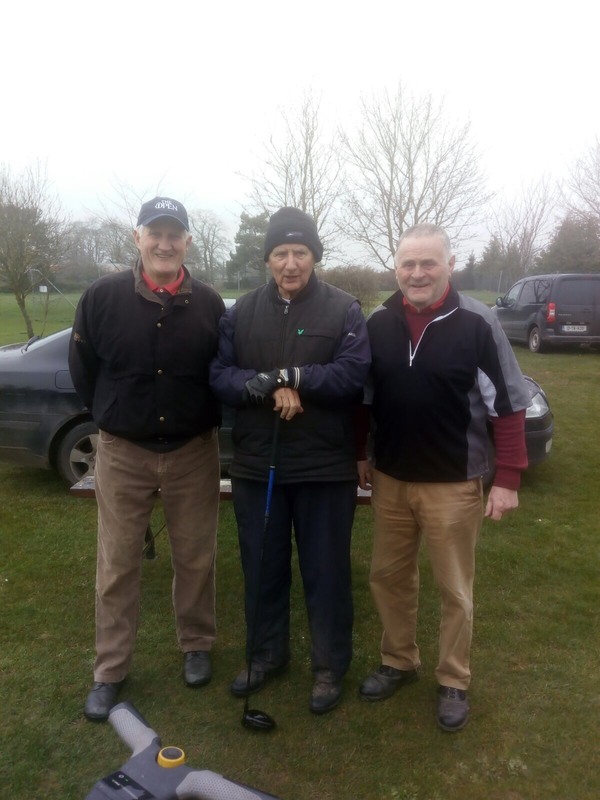 All events are now on schedule and our Club Captain Tommy Foley invites all golfers that they will be more than welcome to play on Templemore Golf Course. The Spring League; The spring League is now in full swing and is now on the 3 leg. Despite the consistent bad weather the scoring is showing that the finish will be very competitive. The competition Secretary Liam Leahy has requested that all listed in the competition to complete their rounds as soon as possible in case the weather breaks again. So don’t delay, and support your team by re-entering as many times as possible. Green Fee , One Rate; The Green Fee for 2018 is now €10 for 9hole or 18 hole. “There is just one rate”. New Members; All current members are encouraged to introduce only “ONE NEW MEMBER” Lady or Gent, Junior or Student, Senior or Family, Active Retiree’s or any person interested in taking up the sport. It will be a huge advantage to building the club membership. Seniors; It was great to see so many taking part in the Thursday morning seniors event. This event is encouraged to all “Active Retirees” especially those that want to take up the game of golf as a recreational sport hobby, they will be more than welcome, just call in on Thursday morning at 10am. All is looking well for this Thursday 19th. March. Away Fixture; 24th. April in Tipperary Town; This is always a great venue with a meal provided and all are requested to have their payment on Thursday 19th. A lot of work goes into the organisation of these away events by the Senior Committee to give everyone a great day out of Golf. Do support this hard work by putting your name on the list. 22nd. March; 1st. Team; Sean Lee, Pat Ryan, Donal Golden. 2nd. Team; John Galvin, pat Maher, Liam Daly. 3rd. Team; Bertie Keane, Seanie Gleeson, Willie. Haverty. 29th March; 1st. Team; Sean Lee, Pat Maher, Mick Carey. 2nd. Team; Bertie Keane, Seanie Gleeson, Michael Maher. 3rd. Team; George Collins, Pat Costello, John Galvin, John Mullally. 12th. April; 1st. Team; Seamus Bourke, Seanie Gleeson, Pascal Whelan, Mick Murphy. 2nd. Team; George Collins, Sean Lee, Pat Maher, Willie Haverty. 3rd. Team; Dinney Touhy, Liam Daly, Pat O’Connell, John Mullally. Bunkers Revamped; A call up is required from volunteers to remove the winter look off the bunkers by raking and weeding. “Just call in and get on with the work”. Great work is already evident on some of the bunkers and some heavy work is now required on some of the weather beaten bunkers. Additional sand will be put into all bunkers once they are ready. This work is very important and will also enhance the condition of the course for the coming year. Central Towns Trophy; Tullamore Golf Club; 1st. Round on or before May 6th. Temple more -V- Nenagh.